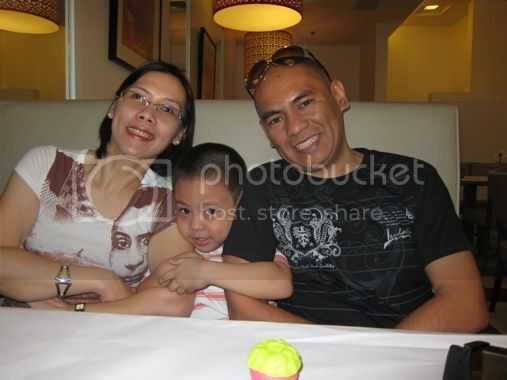 The last time we dined at Burgoo as a family was when our son was only a few months old. I have actually forgotten what their food tastes like. Last May 1, after the little boy was done playing at Tom’s World at Robinsons Galleria, we had dinner at Burgoo because that’s what hubby wanted. 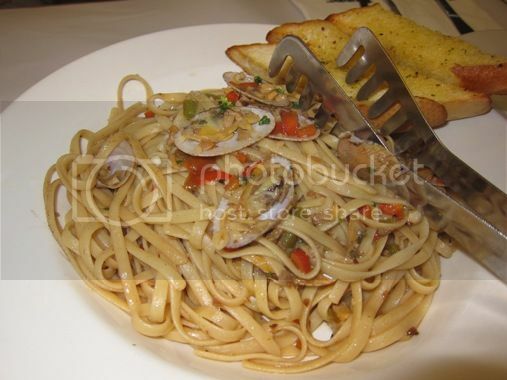 We ordered the following: Pizza Sampler, Linguini with Clams and Cream Dory Milanese. 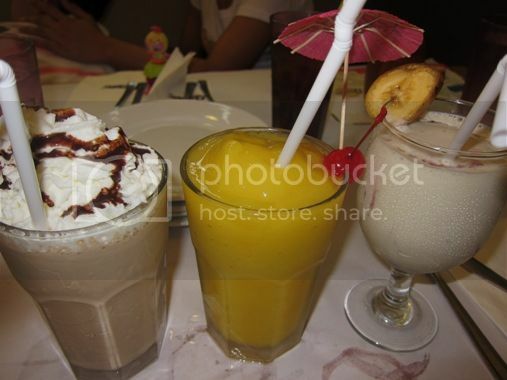 We also tried their Chocolate Milk Shake, Ripe Mango Shake and Blue Banana. We liked the Chicken Louisiana the most and Garden Fresh the least. This was quite bland and needed a bit more salt. Yummy! I could actually finish the entire plate all by myself! This came free with our order of one main entrée. 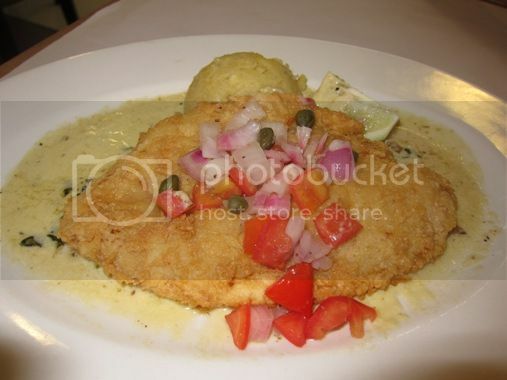 If you’re not availing of the promo, then you have to pay Php495.00 for this delicious fish dish. The Blue Banana is a must-try. It’s a combination of blueberries and banana. Unfortunately, we had to cut our stay at Burgoo short because our little boy had tummy ache. We ended up with most of the pizza untouched, which we had for breakfast the next day. This entry was posted in American Cuisine, Burgoo American Bar & Restaurant, Food Trip Friday, Restaurant Review, Robinsons Galleria. Bookmark the permalink. 11 Responses to Food Trip Friday: Burgoo! 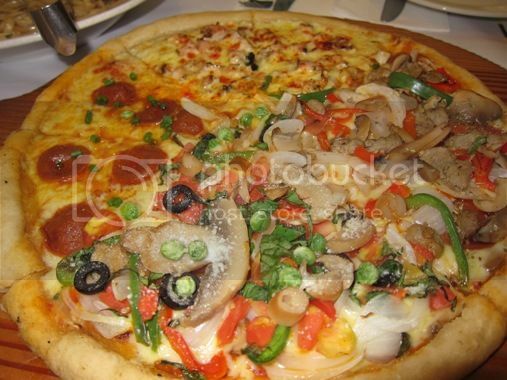 I like the Pizza sampler,enjoying different pizza flavor must be so much fun. ayay! ang sarap naman…lalo na pagkasama talaga ang buong fam…the food looks good! Food looks yummy there! Thanks for sharing.